The Toronto Chapter will hold a discussion on resources and building knowledge titled “PDG: Technical Info, Where to Go?” at the Toronto office of design firm Dialog on June 11 from 6 to 8 p.m.
Metal composite material (MCM) panels and their visual acceptance parameters are explored in a new white paper to assist design professionals working with the material. Photo © BigStockPhoto/Marko Beric. 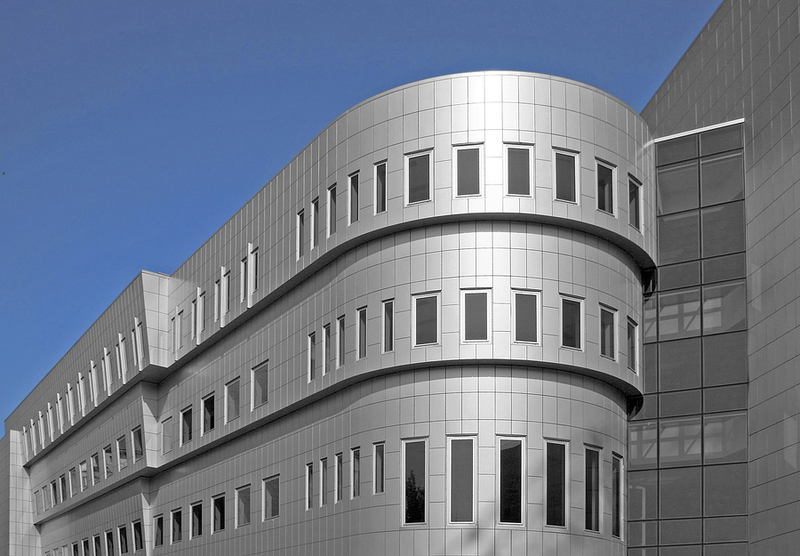 A new white paper published by Metal Construction Association (MCA) discusses visual acceptance parameters of metal composite material (MCM) panels and systems. The resource provides guidelines to assess whether an installed product conforms to applicable industry standards. Building and fire codes provide information for the structural and fire performance of MCM cladding assemblies, while esthetics are normally defined within architectural specifications outside of these parameters.